Anatomic sport boots of excellent quality with a non-slip rubber sole to ensure steady walking. 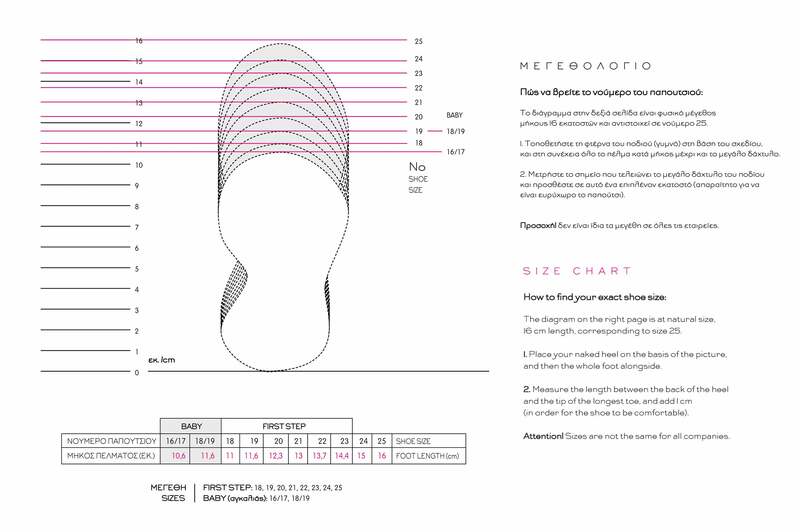 The insole follows the foot's anatomy and is enriched with ARNEFLEX BREATHABLE foamy antibacterial material, in order not to block air circulation and to provide perfect ventilation. Ector boots' external lining is 100% leather.They match perfectly with the outfits for boys from the DESIGNER'S CAT collections, as well as with all the baptism and casual accessories. Available sizes: 19-25.